Don’t get me wrong, I’m all for accessory exercises and variations (hell, I’ve written 3 comprehensive articles on the topic here, here, and here) but, more often than not, trainee’s place too much stock in accessory work when they should really be focusing on the main lift. By all means hit your lunges, split squats, hip thrusts, good mornings, sled drags, GHR’s, etc…they’re all fantastic drills and will help to improve strength and overall performance. 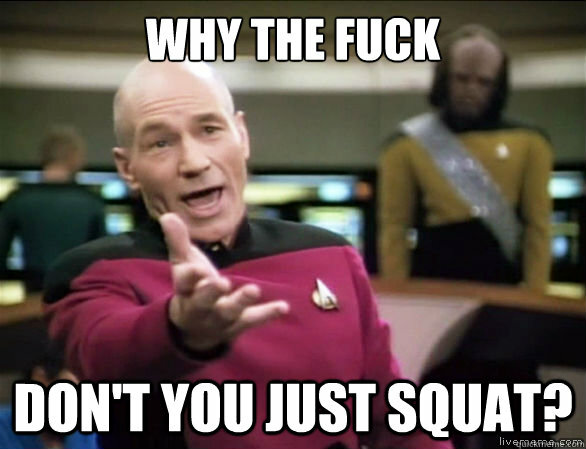 However, if your squat is stalling and you aren’t sure why…it’s always a good idea to go back to the basics and review the movement in question: your squat. This is actually a topic I cover extensively in my 2-hour Elite Performance Squat Seminar which will be released on February 17th. This seminar is bar-none the most comprehensive product on the market teaching you exactly how to build your strongest squat in the least amount of time. 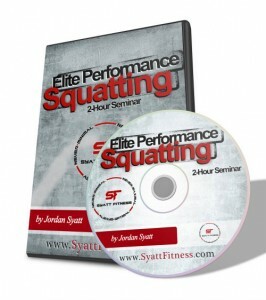 From February 17th – 21st the seminar will be on sale for nearly 50% off it’s standard price! If you want to be reminded of this deal so you can jump on it before everyone else, sign up for my free newsletter below and I’ll make sure you don’t miss this opportunity. I won’t talk about it too much yet but, suffice to say, the standard squat increase after 12 weeks of following my advice in the seminar ranges from 30-50lbs for intermediate and advanced lifters!!! Trust me, you definitely don’t want to miss this deal. For now I’ve gotta jet. I’m coaching at TPS for the better part of the morning and then I’m hanging out with my long-time friend and mentor, JC Deen, for the rest of the day. I hope you enjoy this installment of The Week In Review and have a great weekend. Jordan Syatt Interviewed on Evolutionary Health Radio – My BEST Interview Yet! Monday’s Strength Lesson: Perfection is the enemy of good. – There is no such thing as “perfect” technique. We are all built differently and will require different positioning to get in the best position for our individual needs. Striving for a single “perfect” technique is a misnomer in and of itself. – If you don’t put more weight on the bar you will never achieve your ultimate strength potential. It’s O.K. and even *normal* to have a tiny bit of form breakdown using heavier loads. It’s not the end of the world – it’s just part of getting stronger. Tuesday’s Strength Lesson: Improving vertical leap is a lot less about jumping as much as possible and a lot more about learning how to properly strength train. Wednesday’s Strength Lesson: Looking for a great workout to improve your strength, performance, and body composition? Note: Perform the above circuit as many times as possible in 3 minutes. Rest for 3 minutes. Then repeat the circuit for one more 3-minute round. Thursday’s Strength Lesson: Want an explosive Deadlift lockout? Once the bar passes your knee’s, lock your knee’s out as hard and as fast as possible! Too often I see trainee’s struggling with the DL lockout, grinding slowly up their legs and barely finishing with a weight that should be very easy. More often than not, their knee’s remain bent as they struggle to extend the hips and finish the lift. What they don’t know, however, is that extending the hips to finish the Deadlift is *impossible* without extending the knee’s. That being the case, LOCK THE KNEE’S OUT immediately after the bar passes over them. From there you can explode through the hips and finish with pop.